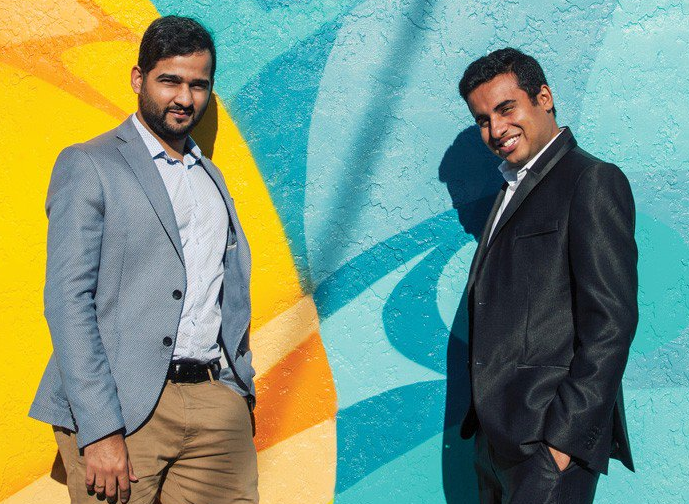 Victoria-based app development firm Freshworks Studio was founded in July 2014 by Indian immigrants Samarth Mod and Rohit Boolchandani. Theirs is an incredible tale of two skilled entrepreneurial immigrants full of ambition and hustle who moved to Canada in 2013 to pursue their MBA from UVic. While there, they found their niche in the city’s thriving tech scene. With no network or finances and plenty of culture shock, they quickly adapted to achieve success, expanding their team and racking up plaudits, including a place in the worldwide Top App Creators list and prime positioning on Clutch’s Top 10 Developers in Canada lineup. Their success reached yet another high point on February 23, 2018 as they were named the Best Immigrant Entrepreneur at the 15th Annual Small Business BC Awards. Samarth arrived on Canadian shores in 2013, enticed by the educational opportunities, favourable student visa policies and the relative ease of starting a business. It proved the start of a whirlwind initiation into Victoria’s business world. “I always dreamt of starting my own technology business,” Samarth explained. “I began an intense sprint of networking through events and meetups organized by VIATECH to investigate this dream further. This three or four months of networking and meetings sparked a ‘eureka’ moment for me; I stumbled upon an enormous potential for mobile app development in the start-ups, non-profit, education, and government sector. Samarth and Rohit faced unique challenges in the early days. Not only did they have to start a business from scratch, they also had to navigate the challenges inherent in doing business in a new country. With their established support network thousands of miles away in India, the duo turned to the amazing business supports available in Victoria. “In Victoria, we were incubated by VIATECH and the Coast Capital Savings Innovation Centre,” said Samarth. FreshWorks has grown rapidly, from just two employees and $50k revenue in 2015, to 45 employees and almost $1 million in revenue by 2017. Currently, their Victoria HQ is home to 45 employees, providing skilled tech jobs in our provincial capital. For Samarth, the ability to contribute to their new home has been one of the most rewarding aspects of entrepreneurship. “We are incredibly grateful to Canada for embracing us and we are thrilled to be able to give back by growing FreshWorks from three employees to over 45 in the last two years,” he said. As his upward trajectory continues and FreshWorks status in the Victoria tech scene solidifies, Samarth is regularly approached for advice from aspiring entrepreneurs. How does he answer? “The first thing I would say to these people is to find your calling, your passion,” he revealed. On a night of celebration, networking and smiles at the 15th Annual Small Business BC Awards, Samarth and Rohit earned the accolade of ‘Best Immigrant Entrepreneurs’. It provided further evidence of the duo’s amazing impact on the BC tech scene, and they can now access all of Small Business BC’s educational services for free for one year. For Samarth, participating proved an immensely rewarding endeavour. “The SBBC Awards feature businesses that are truly innovative in their approach and understand the importance of giving back to their community,” he explained.